Spring is a season of new beginnings, when the cold harsh winter months are behind us, flowers bloom, and people begin spending more time outdoors. For people with allergies, spring means one more thing: suffering. Spring may be in the air, but for allergy sufferers, so is pollen, pet dander, mold, and dust. These airborne allergens can trigger uncomfortable reactions such as watery eyes, coughing, sneezing, congestion, and sinus pain. There are some things you can do to minimize the discomfort throughout the spring season. Pollen tends to have a higher count in the mornings and early evenings. During these times, stay inside and keep windows closed. If you enjoy an early morning exercise run, consider an alternative indoor workout during peak allergy season. Take a shower before going to sleep. Doing this at night can rinse away any lingering allergens and leave you with a clearer eye and nasal area, as well as a more restful night’s sleep. Keep artificial tears close by. They can temporarily alleviate ocular allergy symptoms by lubricating your eyes when they feel dry and itchy, and they’re usually small enough to fit inside a purse or pocket. If you don’t have any good eye drops, use a cool compress as an alternative method of relief. If your allergies are caused by dust or pet dander, vacuum. A lot. Dust collects quickly and can be difficult to spot until there’s a high amount of it. Pets can shed fast and often, and just when you think you’ve removed all the fur from your sofa, carpet, or bed, you suddenly find more, so vacuum a few times each week. Wash your hands thoroughly with soap and water and change your linens more often during the spring season. Remnants of airborne allergens can stay on your hands, towels, and bed sheets. Washing them more frequently can minimize some of your allergic reactions. Though it may be tempting, don’t rub your eyes. This can actually aggravate the allergy response. If you find yourself using artificial tears more than 4 times a day, or other short-term solutions aren’t enough, speak with your eye doctor. You may be able to receive antihistamine eye drops or other prescription medications to ease your discomfort. 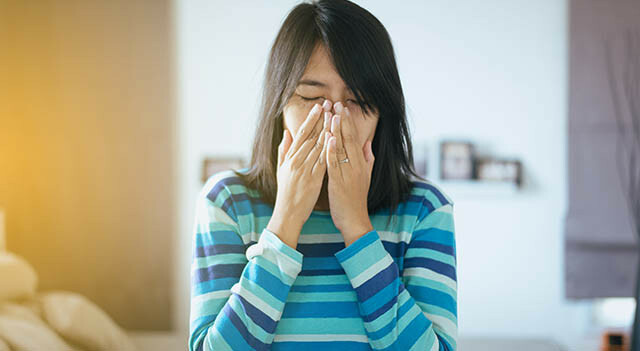 Certain eye allergy symptoms can also be signs of eye conditions or diseases, so pay close attention to any reactions that don’t dissipate after allergy season ends. If you wear contact lenses, speak to your doctor about daily disposable contacts. These can be a great option for allergy sufferers. Since dailies are thrown away at the end of the day, there’s no heavy allergen buildup on the lenses to worry about. Consider switching to eyeglasses for a while. Even the most comfortable soft lenses can feel irritable during allergy season. Use the springtime to get yourself a new look. With a wide range of incredible styles to choose from, including exclusive eyewear collections from today’s hottest designers, there’s something for everyone. Not sure what the choose? Talk to your optician to help you find a style that’s right for you. We’re here for you, and we want to help. 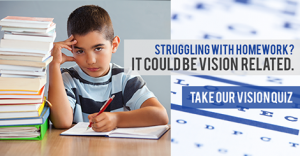 Contact your eye doctor for any specific questions or concerns about your eye allergies. In case of emergency outside office hours, go to West Coast General Hospital.